Bond is a secret spy for the Gloria Furore space pirates, a former member of Princess Anguissa’s crew, and a fallen angel with a love of pleasure. 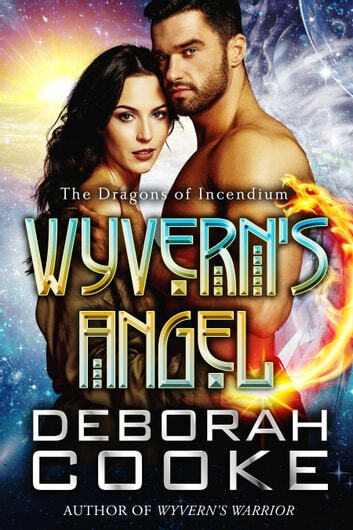 His wings will be returned once he meets the Host and completes his mission—but Bond isn’t counting on the distracting allure of a dragon shifter princess determined to seduce him. Percipia has no interest in romance or love, but knows she has to claim the Seed and fulfill her obligation to her kind by conceiving a child. But Bond isn’t interested in a quick seduction—he prefers to savor every moment—and the Gloria Furore soon catches up with him. Being with Bond makes Percipia feel more alive than she ever has and she soon realizes she is falling in love. Being with Percipia is too much like heaven for Bond to resist giving her all she wants from him…but when they are attacked and Bond must choose, will he save Percipia or complete his quest at any cost?